Gloucester Quays is one of the largest mixed use waterside regeneration developments in the UK. 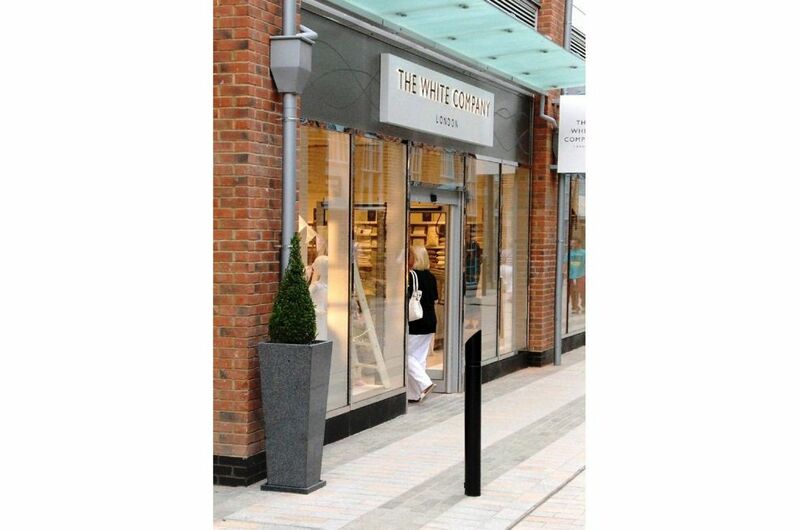 Covering 60 acres and providing 1.6 million sq ft of floorspace, the scheme includes a college, shopping mall, two hotels, and a range of waterside bars, restaurants and other leisure facilities. 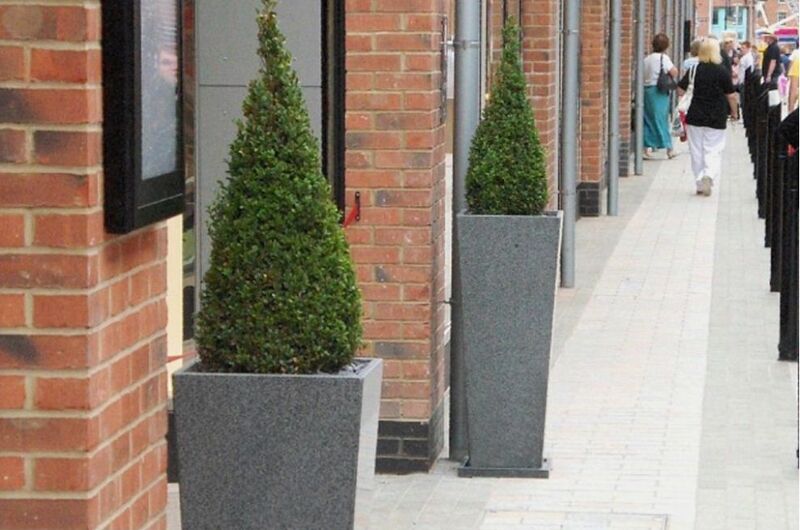 IOTA’s granite planters were selected for the designer outlet shopping mall. 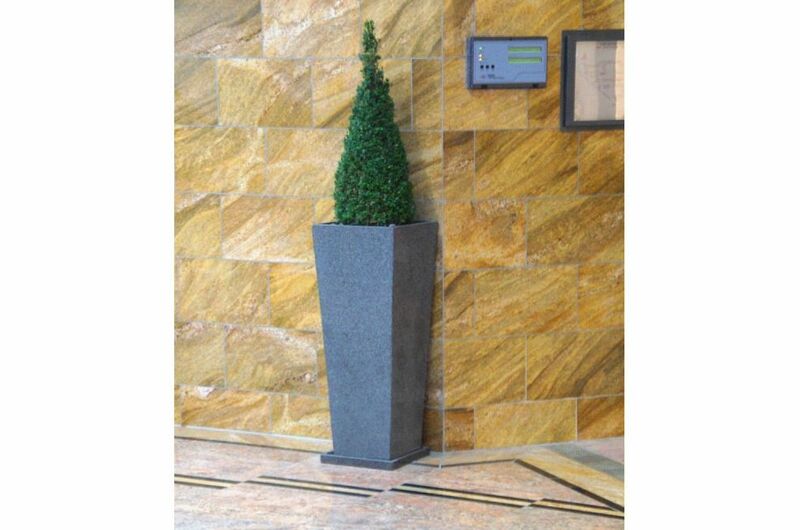 The stock design chosen was the elegant, 1000mm high Granite Tall Tapered Planter XXL, and the planters were incorporated within both exterior and interior landscaping schemes. 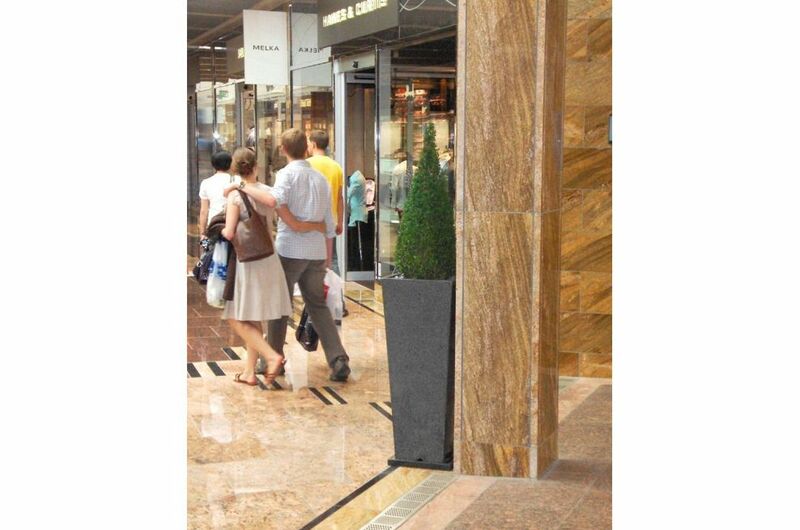 The planters are used principally to signpost store frontages and mall entrances, and to demarcate the transition between different areas. 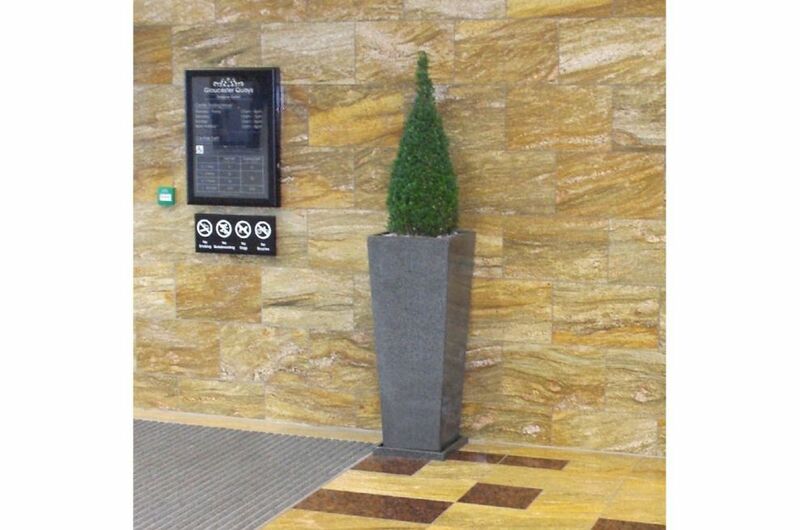 In the mall’s interior, the planter’s cool grey granite acts as a point of contrast to the highly variegated marble used on walls and floors.